As one of the charities at the forefront of the UK’s epilepsy movement, Epilepsy Action is an important charity, with their Christmas cards available from Cards for Good Causes. 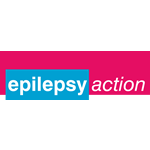 Epilepsy Action is there to improve life for each and every person affected by the condition. Over 90% of Epilepsy Action’s life-changing support is funded by donations from people like you.